as mentioned in yesterday's post one of my splurges postpartum has been to get eyelash extensions. for those of you who have had eyelash extensions you know just how cumbersome washing your face with eyelash can be. you have to be very gentle around the ye area but you also need to make sure you thoroughly wash your eyes clear of makeup. this is tricky because the products that work well for your face don't always work well for your eyes. thankfully Simple Skincare has the solution. 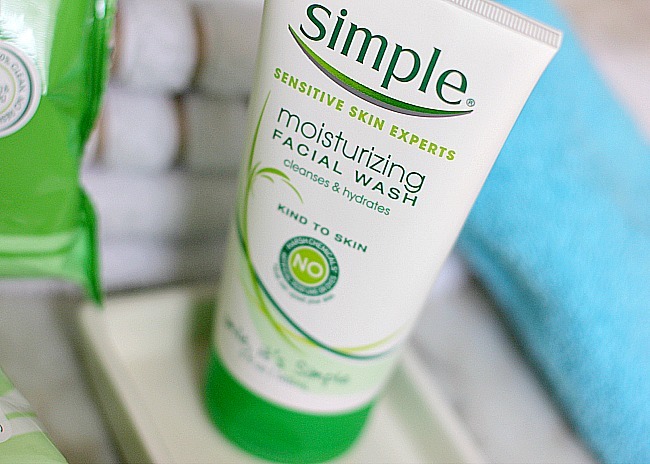 not only does it provide thorough skin cleansing for your face it also provides gentle cleansing for delicate skin. trust me, your eyes will thank you. beginning with the Simple Moisturizing Facial Wash you have yourself a full face cleanser that leaves your skin clean but also nourished thanks to the blend of the purest possible skin loving ingredients with added vitamins. it is safe for sensitive skin and your eyes so no worries about burning your eyeballs while cleansing. (you can put your kids' tear free wash away ;) while this cleanser doesn't replace a moisturizer it certainly leaves your skin feeling moisturized and refreshed. 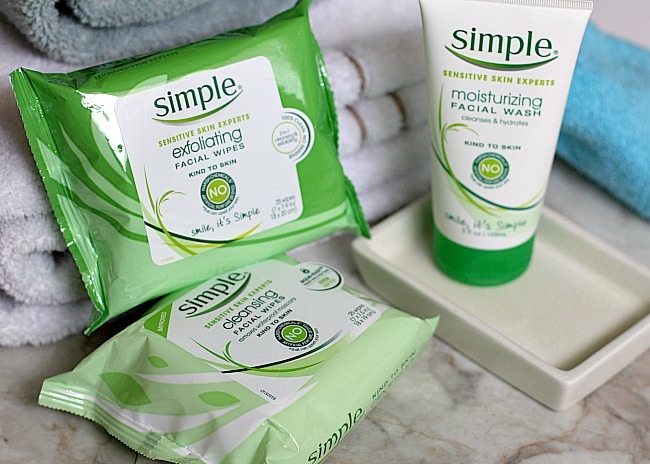 my major favorites of the Simple Skin Care cleansing collection are the wipes. these things are miracle workers for removing eye makeup, particularly with eyelash extensions! 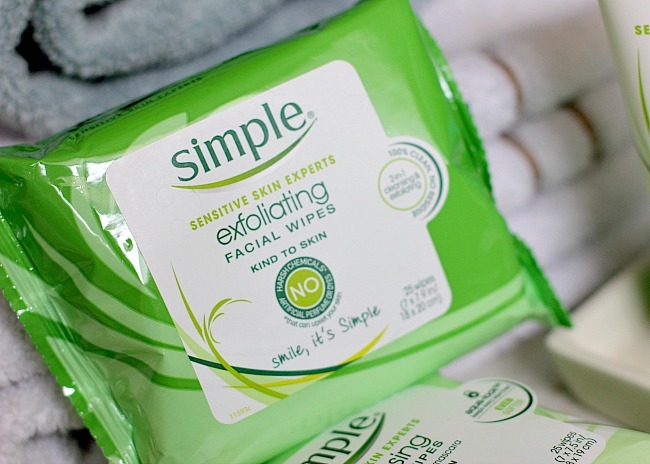 the Simple Cleansing Wipes and Exfoliating Wipes both work amazingly well for different reasons. 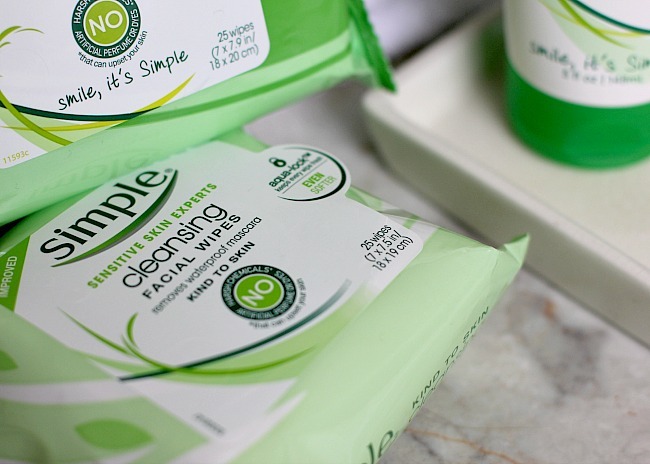 the Simple Cleansing Wipes are amazing for gently removing eye makeup around the delicate skin of the eyes. additionally you can carefully use them to wipe off your eyelash extensions to prevent makeup buildup. three cheers for the makeup wipes! the new Aqua-Lock™ pack keeps the last wipes just as fresh as the first ones so that your wipe pack doesn't dry out. while the wipes are soft they are tough on makeup and leaves your skin feeling hydrated without residue. 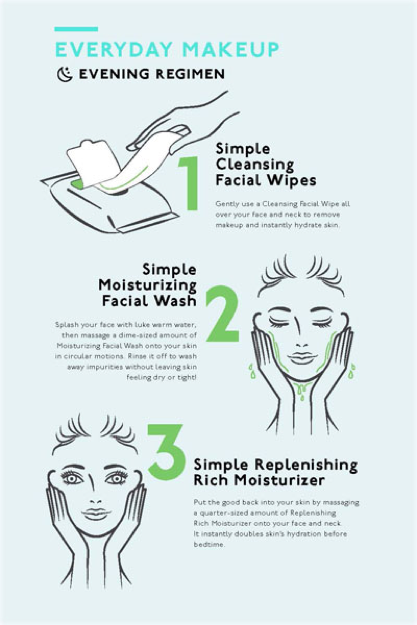 the Simple Exfoliating Wipes also work well at removing makeup residue as well as dead skin cells on the surface of your skin. this leaves your skin practically GLOWING. trust me, if glowing skin is just a few wipes away then please pass the wipes! if you are interested in trying out the facial wipes you won't want to miss the special at Walmart starting March 19th, you will be able to buy any Simple product and get a free 25ct wipes ($7.99 ARV). that is one deal you don't want to pass up.